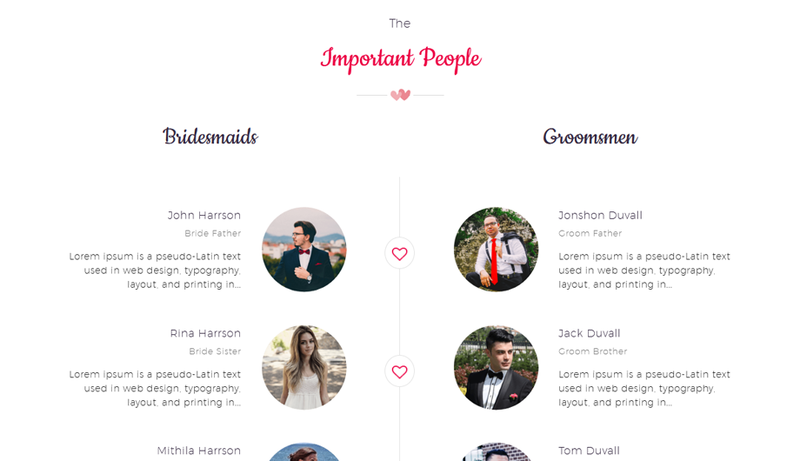 TwoGether Pro is an eye-catching WordPress theme for wedding websites. 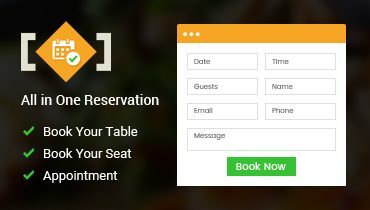 It is fully responsive and furnished with premium features to build a beautiful and functional website or blog for your wedding. 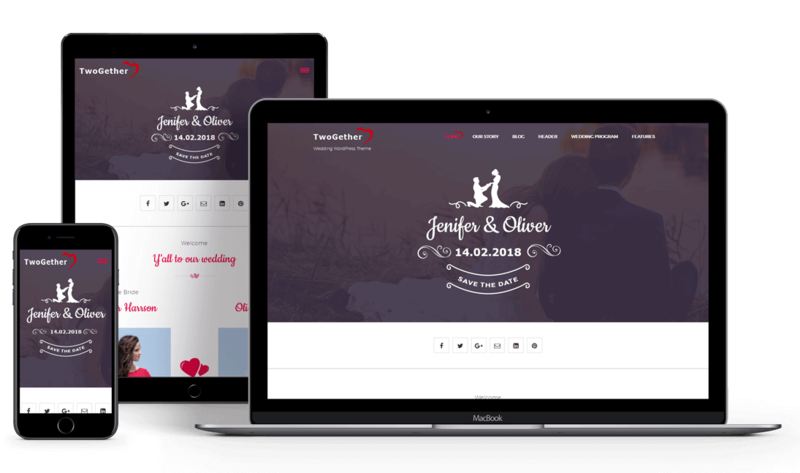 Twogether Pro featuring an elegant, beautiful, clean and unique design, built for creative couples standing before their marriage. 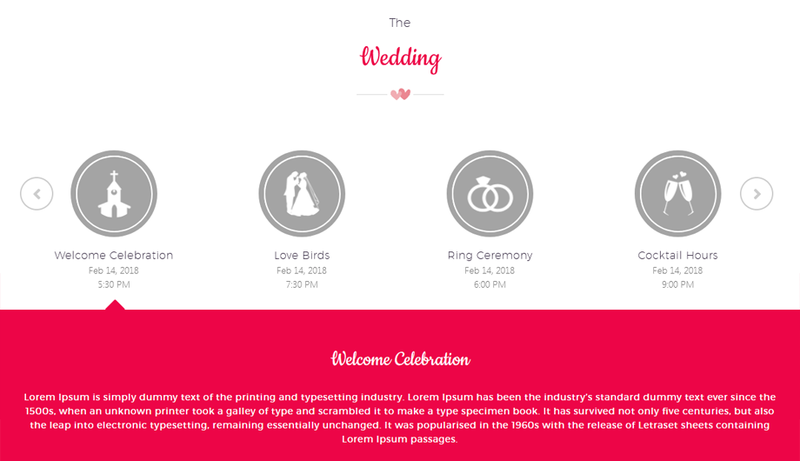 It is a perfect WordPress wedding theme decorated with beautiful texture and design elements. 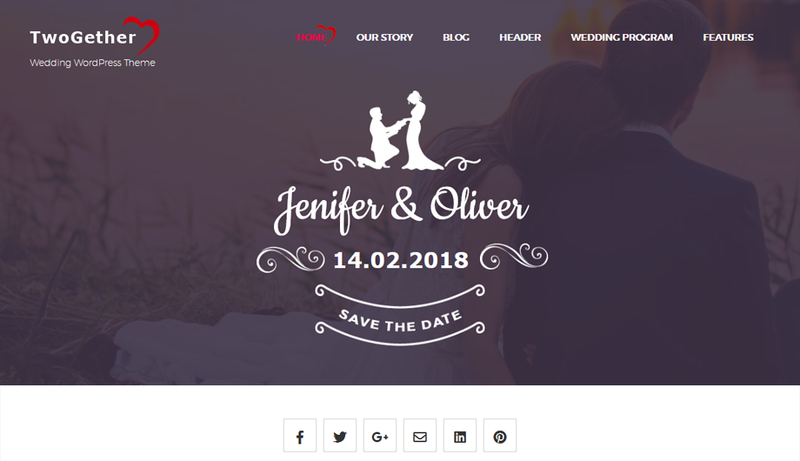 Its a clean and elegant premium theme for wedding event to showcase your wedding content in a sophisticated and eye-catching way. 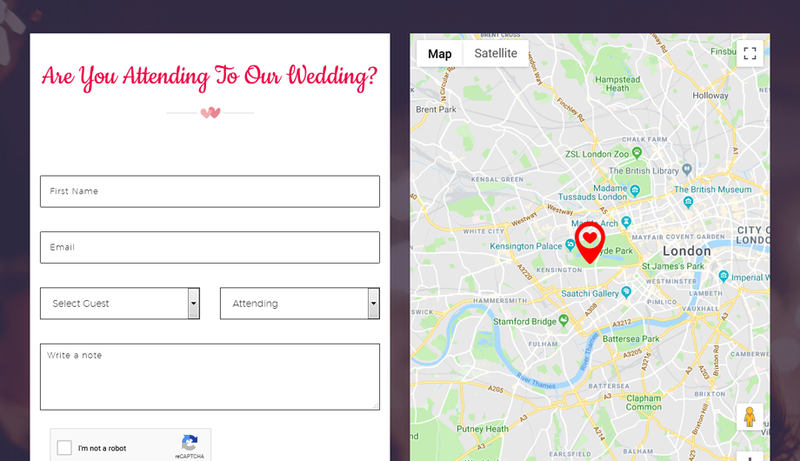 It also comes with unique sections made just for weddings, such as Couple Story Timeline, Guestbook timeline, RSVP Form and much more. TwoGether Pro allows you so many customization options to add attractive colors, font options, image slider, sidebar or top menu etc. 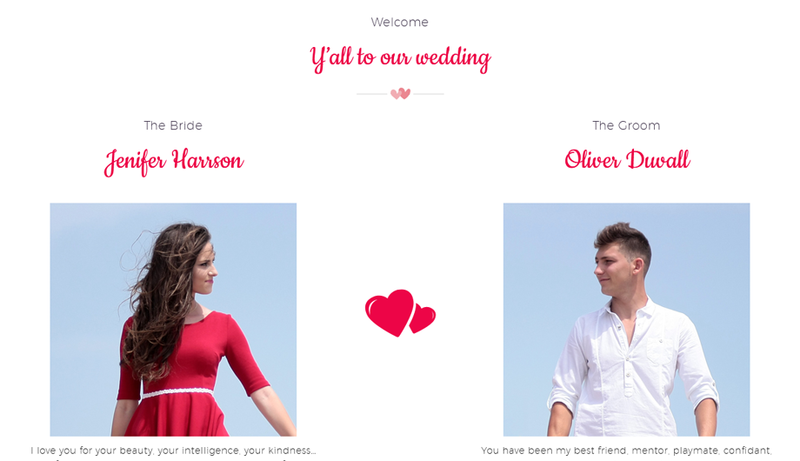 This amazing wedding WordPress theme has visually appealing design elements that could encourage your guests, friends, and family to get informed about your big day! TwoGether theme supports accurate functionality in all popular web browsers like Google Chrome, Mozilla Firefox, Opera, Safari etc. 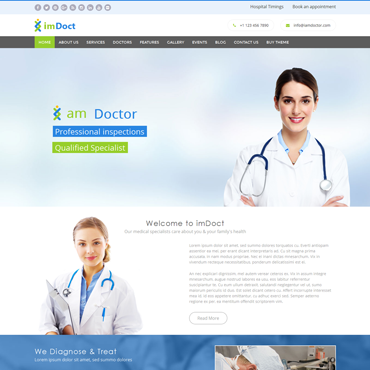 We provide customizable mega menu which enables you to beautify your website. 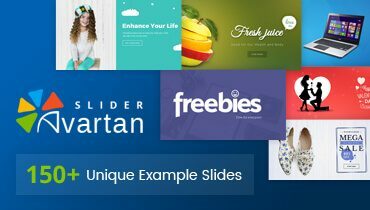 This theme provides Avartan Slider plugin free which is worth of $21. It will create stunning slider effect in your website. Add attractive colors to your theme. Feel free to take your own color while customizing. 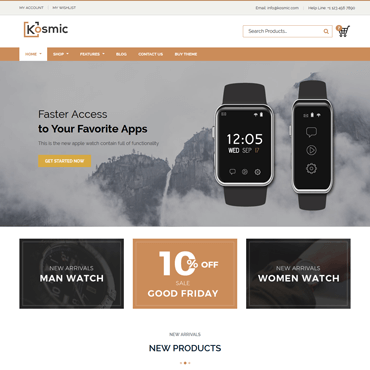 Create your website same like our demo website with just one click and you can choose 3+ demo layouts. A Very responsive seller, willing to help on every step of the way to ensure template works well via Skype support. Also very nice template design, quality flexibility and well detailed documentation to learn so many things to customize template ownself. 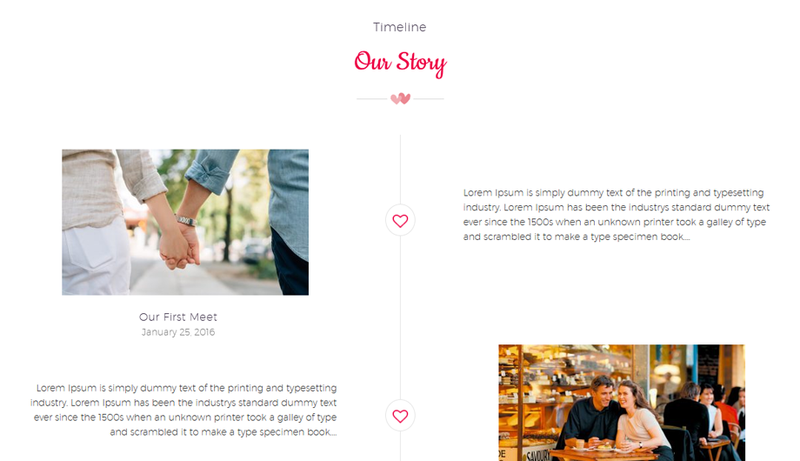 Custom post types for Wedding Programs, Our Story, Bridemaids, Groomsmen, and Our Gallery. You can add, edit and remove posts at any time. 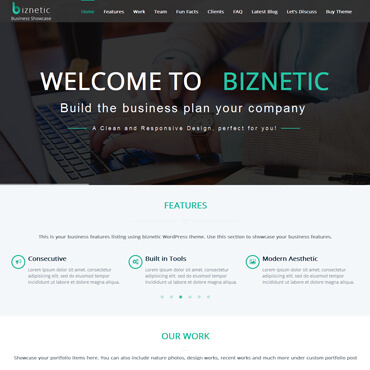 TwoGether Theme contains custom page templates like Home page, Full Width, Left Sidebar, Right Sidebar, Contact us page etc. TwoGether Theme supports post formats like, Standard, Audio, Gallery, Image, Link, Quote and Video to customize presentation of a post. TwoGether theme is coded with best SEO practices in mind to ensure better rankings across all search engines. 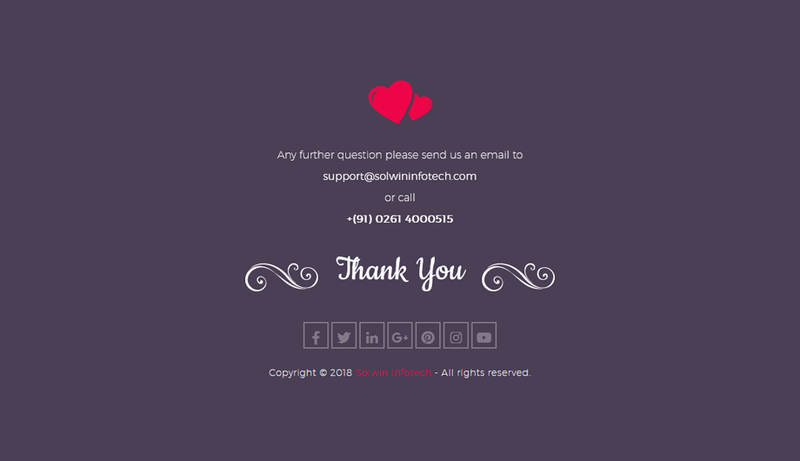 TwoGether theme supports Google fonts. So, you can select your font over Google’s 800+ fonts directory. TwoGether theme has built-in Bootstrap framework. So, this theme is automatic available with responsiveness. TwoGether theme has been developed with FontAwesome. So apply your icon to catch your visitor’s eye. 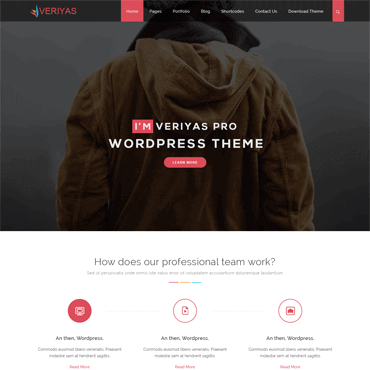 Compatible with latest update the following versions: WordPress 4.9.x, Bootstrap 4.x, FontAwesome 5.0.8. TwoGether theme provides fully right to left (RTL) support. Backend also completely supports reading from RTL. This theme provides options for preloader, like display loader only in home page or in all the pages, add custom image for loader etc. 4. Now, Click on Upload Theme button at top and upload twogether-pro.zip. 5. 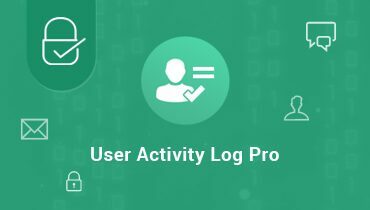 Click on Activate to active Twogether theme. 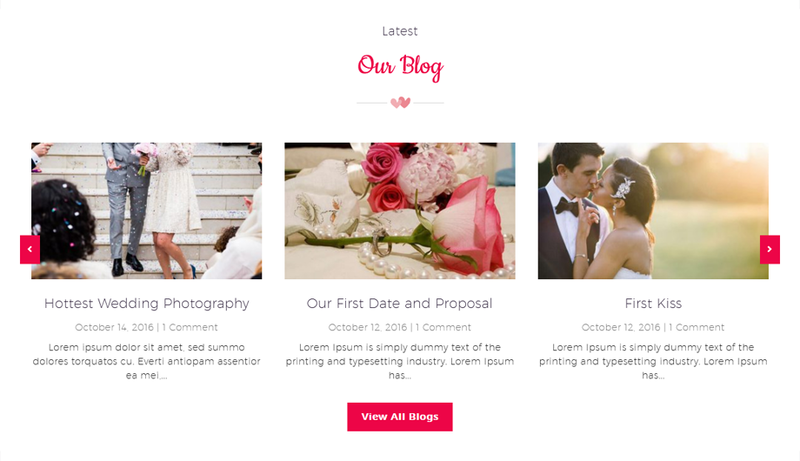 TwoGether Pro WordPress Theme is suitable for love, engagements and wedding websites. 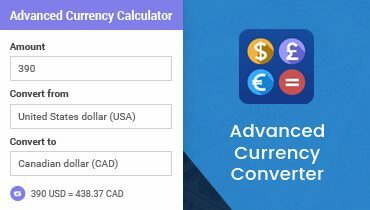 Can I use a theme on multiple sites? Yes, you can use a theme on as many sites as you want. Go crazy! Please refer this theme update instructions to update TwoGether Pro theme to latest version.